Home / News and Events / Ateliers Nemesis LARP Weapons Sale!! 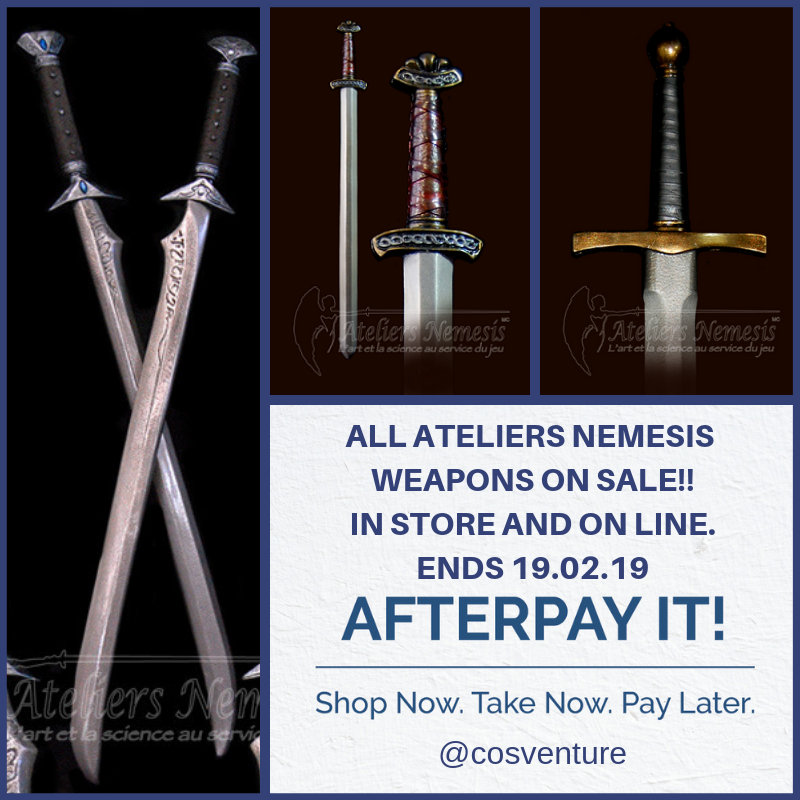 Ateliers Nemesis LARP Weapons Sale!! All in stock Ateliers Nemesis weapons are on sale for a limited time. Get in quickly to secure yours! Sale period is from 5/02/18 until 19/02/18. Afterpay is available in store and on line.